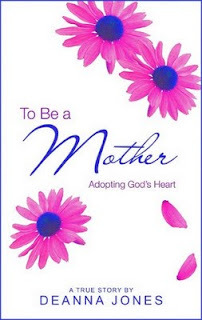 To Be a Mother reveals how God was always present in my life as I stumbled, struggled, and eventually stood victorious as a mother. My hope is that my story will lift you up from grief, pain, anger, and desperation to a place of spiritual healing. I hope you will see that Jesus is very much alive and eager to come to the aid of His children. I also hope that women who read my story will learn from my mistakes and make decisions that advocate for life. I pray that those who are suffering from intense pain and regret from poor choices will turn to the Lord, knowing that through His love they too can be made white as snow. In the 1960s and ’70s, the women’s liberation movement paved the way for many opportunities for women but frowned on a women’s right to chose to be a mother only. The message was clear: women who stayed home to be married and take care of their kids were unhappy. Like a lost and confused child wandering in an unfamiliar neighborhood, I took the advice of people who seemed to have my best interest at heart but weren’t really listening or interested in what I truly wanted. I was eventually lured away from my innocent hopes and dreams into a future that looked promising but ended up being a destructive path. The women in my life were beautiful and strong, and they encouraged me to go out to find my dream. After all, how else could I support myself? Men were unreliable, and they were not supportive. With no positive male role models in my life, I learned early on that perhaps it was better to move on to plan B—getting a job and making a life for myself. Even as a little girl I could sing well. So I put everything I could into singing, hoping to become famous and make good money. I knew that if I became a famous singer, then the women I admired so much would be proud of me. In my mind, I had decided that if I became famous first and had the money and security I longed for, then maybe one day way off in the future I could then decide to marry a great man (if there was one out there), have children, and buy a home for myself. In the meantime, I concentrated on perfecting my voice and performance skills. I now had a new passion. I wanted to be a singer. I was intensely motivated and focused, knowing that if I succeeded as a singer, one day I could finally afford the luxury of motherhood. I was not courageous. I found an abortion clinic in the yellow pages. I didn’t know anyone who had had an abortion, and I wasn’t going to ask anyone. No one but Bill and the people at the clinic would know about this. In the morning, I was in the abortion clinic scheduling a date for my abortion. I tried to hide my morning sickness and my sadness as I sang happy songs, greeted happy tourists, and danced in the sun. Then I would go home and cry myself to sleep. I longed for there to be a way for me to keep my baby, but I couldn’t find one. I hoped that my boyfriend would love me enough to tell me that he wanted me to be his wife and we could live happily ever after with our baby, but he didn’t. I named my baby Aubrey (which I later learned appropriately and ironically meant noble and bright). Singing in front of a castle in the blazing sun, I cried out to God to rescue me from this dilemma. I also blamed Him for the predicament I was in. I was scrambling for answers and solutions but could only see one option. I wanted all of my dreams to become a reality. I was hoping for someone to magically come and save me (and my noble, bright, princess Aubrey). But I realized that would never happen. The doctor said nothing to me. I felt a tight pinch and then lost my breath as I heard a vacuum sound. I winced, cringed, and cried. I then felt a silent NOOO! Please don’t take my baby from me! screaming out from my soul. I continued to cry as I listened to the screaming inside of my head and the whoosh of the garbage disposal sound. It was now too late. No one had come to save me. No one cared. I hated myself for destroying Aubrey. I cried and cried. I felt so angry with myself, God, Bill, and all of the people who could have reached out to save me, but didn’t. Why Lord? Why? Maybe now You will leave me alone forever. You must really hate me now, and that is why You didn’t come. I need You but hate You because You never came. I love You and need You. I am confused, depressed, and sore. And on Friday I have to sing my happy songs. Oh, how I wish that I could have been there to protect the sweet nineteen year-old girl of my past. I could have told her that every woman has to battle for her children. I would have told her that there are resources for her. I would have told her that there are other women her age who are going through or have been through a teenage pregnancy who can encourage her. I would have told her that tomorrow is a new day and that hope comes forth in the morning. I would have swooped her up in my arms and made sure that she survived this time in her life. And had she decided to keep her baby, I would have offered to give her financial and emotional help. I pray that anyone out there even today that is suffering will somehow find the strength to reach out for help. I pray that they know that they are not alone. our baby was born, somehow I knew that God was there. When I looked into my daughter’s eyes, I saw God’s forgiveness to me personified. Samantha was proof to me that God was the sweetest Father ever. She was evidence that He lives, He forgives, and He loves me. A switch was turned on. Suddenly I realized that God wasn’t in fame. God wasn’t in the money and thrill of show business. In the whimpers of my daughter, He was shouting to me, I’m here. You found me. What does God want? I prayed so hard as a young adult for God to show me what He wanted for me. I was sure He would give me an amazing career or a creative endeavor that would elevate me somehow in the world’s eyes. I believed that I needed to achieve fame and notoriety in order to receive approval from the world before I could realize my dream of being a mother. But once I gave birth to my daughter Samantha, things changed drastically. I discovered God as my Redeemer and was born again. After the birth of Samantha, I felt that my life could never be more blessed. But then to be engulfed in God’s expansive love with the birth of Andrew was indescribable. After Andrew was born, I was overwhelmed with joy and appreciation for the Father. I didn’t think it would be possible to have any more of God’s love showered on me. Then, just when I thought I could not take another miracle, God gave me the heaviest burden of my life. It seemed so obvious. Why hadn’t I seen it before? God’s road signs for me were in black in white all over the Bible, spelled out for me to see clearly, especially made most evident in James 1:27 that God our Father accepts as pure and faultless is this: to look after orphans and widows in their distress and to keep oneself from being polluted by the world. In letting God into my life, asking Him what He wanted for me and longing to adopt His heart, I was now consumed with the unquenchable desire to look after orphans. I couldn’t sleep. I couldn’t eat. My new consuming passion was adoption. I stand now at the foot of the cross with an exuberant heart, proclaiming, He lives for me. There is inexplicable joy in my heart knowing that Jesus is alive and there is a happy ending after all. God answered all of my prayers. He forgave me and then sweetly and generously gave me the dreams of my heart. I always wanted to be a mother, and now in gratitude I praise Him for showering this sinner with abundant love from my husband and our six beautiful children. However, the greatest gift He gave me is His love, His forgiveness, and a clear understanding that Jesus is the best representation of parental love ever. How is aborting a baby liberating? How is aborting a baby empowering? Aborting a baby is the most unnatural and violently destructive thing we can do to ourselves as women. As a woman, my heart and soul naturally longed to hold that child, love that child, and be that child’s mother. In the short time I knew of my pregnancy, I vacillated from wanting to conveniently erase my mistake to imagining diapering and naming the child. But since then I have come to believe not only that life begins at conception, but as a woman it is not serving me or empowering me to allow myself to defy God by defying my body in that way. If we truly want to be empowered as women, then we also need to be willing to speak out against other women who claim to have our best interests at heart but fail to reveal the truth to us. The experience of abortion is devastating in a way that wounds every single part of a woman. And of course the worst part is denying an actual person the right to life while also turning a woman who is by nature a life giver into one who takes a life. In the years that followed my own abortion, I began questioning everything relating to a woman’s right to have an abortion. The truth is, I never would have aborted my baby if abortion were illegal. Today I would be enjoying the company of the daughter that I legally killed. The desperation post-abortion far outweighed the desperation during my brief unplanned pregnancy, and I was so off balance that I felt as if I would never be able to hold onto anything ever again. A part of me was missing and I would never get it back. I would have to live with the loss forever. Alice Paul was right. Abortion is the ultimate exploitation of women.